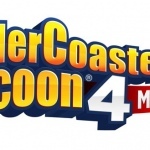 Je kon er vroeger bijna niet om heen, RollerCoaster Tycoon een game gemaakt voor de computer waarin je zelf pretparken kunt bouwen. Chris Sawyer, de bedenker van deze serie werkt nu aan een versie voor smartphone en tablet. 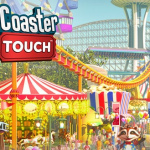 In een exclusief interview met Eurogamer laat Sawyer weten dat hij met een klein team van Origin8 werkt aan een mobiele versie van RollerCoaster Tycoon 2. Het is echter onduidelijk wanneer we de game kunnen verwachten, het deel van het interview kun je hieronder lezen. 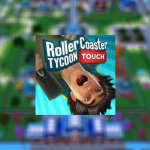 My “pet project” at the moment is an ambition to bring my old PC game RollerCoaster Tycoon 2 to modern mobile and tablet platforms – not an easy task given that the original game was written in low-level x86 assembler code which only works on the PC.  But with the success of Transport Tycoon on mobile and with the experience and willingness of the small team from Origin8 to continue working for me it was looking a lot more feasible, so they’re working with me to create a very faithful conversion of the original PC game. 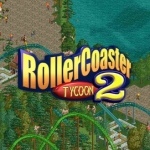 I think as the newer versions of RollerCoaster Tycoon have moved on in terms of style and gameplay there’s now a gap in the market for the original “classic” version of the game with its unique graphical style and more simplistic gameplay, and the success of Transport Tycoon has shown how well the mobile and tablet touch-screen interface suits this style of game. For me personally it’s a very exciting project and I’m very much looking forward to getting it finished and seeing it published. Als je geïnteresseerd bent in het gehele interview met Chris Sawyer dan kun je die lezen bij Eurogamer.